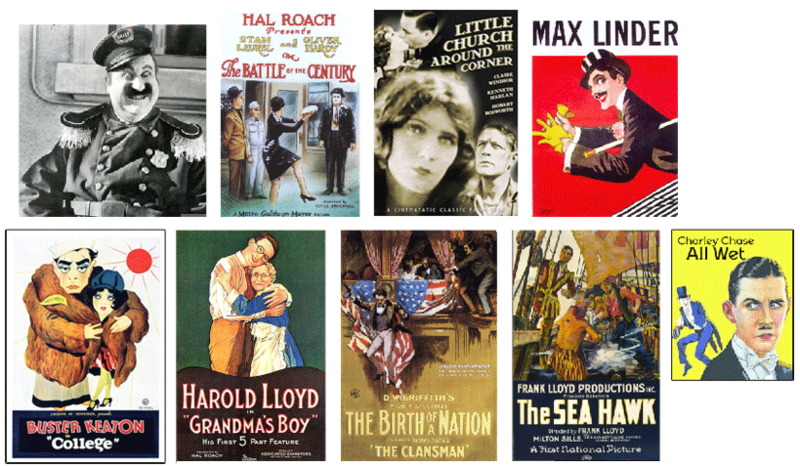 The last weekend of every February brings two things to the northeastern corner of Kansas- the high likelihood of harsh winter weather and the Kansas Silent Film Festival. This year in celebrating its 19th year, the weather was undoubtedly cold but certainly navigable yet another stellar line-up of silent cinema kept the crowds warm at the Washburn University in Topeka, Kansas. Each year, this event brings film fans from the region and beyond to experience this FREE festival which features guest speakers, panels and a variety of silent films, which are presented with musical accompaniment. And for you film fans fearful to dip your toes into the silent film waters, assuming you’ll find these rare gems intimidating or dull… oh contraire! 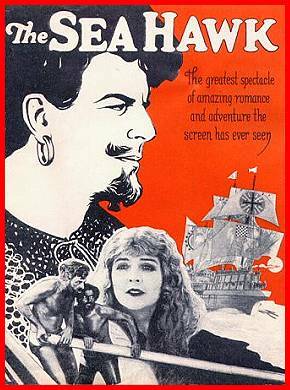 Delve into early cinema history by experiencing it the way it was intended- on a big screen, with an audience and LIVE MUSIC. Jon Mirsalis– pianist/digital pianist for silent films for 20+ years, collector and archivist of rare films, trained scientist in his former life and all-around silent film guru. He was the key note speaker at the Cinema Dinner with “Silent Film Survival: How Bad Is It Really?” which was both a depressing yet fascinating look at which and why specific studios destroyed silents as talkies came into fashion. Quite entertaining with Mirsalis’s dry wit and sharp intellect on this topic. 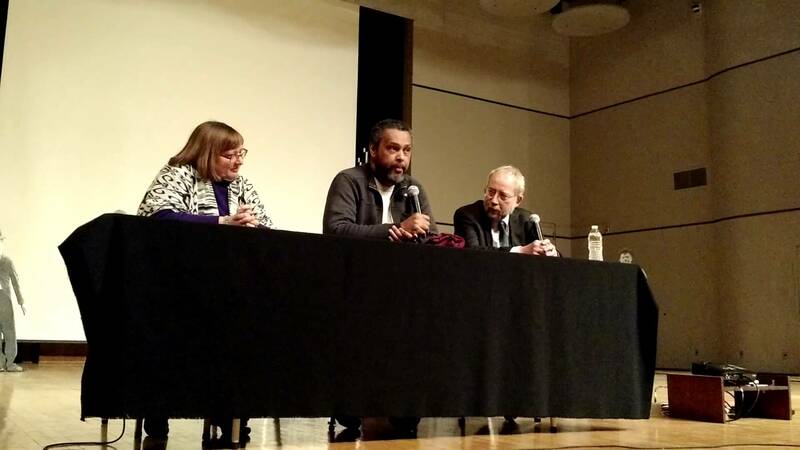 Kevin Willmott– Associate Professor, Film Studies at the University of Kansas, civil and poverty rights activist, award-winning writer and busy filmmaker with a passion for history. He spoke at the THE BIRTH OF A NATION (1915) panel. This wasn’t the first time I’ve heard him speak and I’m proud to have such an admirable and impressive scholar/filmmaker live in my own town. Denise Morrison– film historian with a special affinity for the silent era, Director of Collections and Curatorial Services at the Kansas City Museum, and the 2-day emcee. Morrison provides interesting tidbits of trivia and background to each introduction of a film. Marvin Faulwell– master theater organist for this fest, concerts and other silent film programs across Nebraska, Iowa, Kansas and Minnesota. 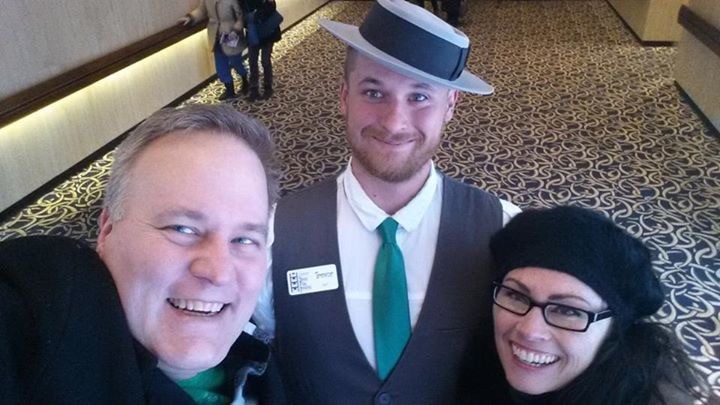 He performed just last weekend in St. Louis for a screening of first-ever Best Picture Oscar winner WINGS (1927). Jeff Rapsis– composer/musician and accomplished pianist, hailing from New Hampshire. He’s composed new scores for THE BELLS (1926) and 20,000 LEAGUES UNDER THE SEA (1916) and he’s a delightful return to KSFF. Bob Keckeisen– Wichita native, asst. director and principal percussionist of the Topeka Symphony. -starring lovable Harold Lloyd as the sweet coward who gets empowered to tackle the town bully and save the day and win over the pretty girl’s affections (portrayed Mildred Davis- who later married Lloyd), thanks to his loving and scrappy grandmother’s fable of his grandfather’s Civil War days. Noteworthy that 77 year old Anna Townsend who portrayed the Grandma was alive during the Civil War. Sweet and funny flick that laid the foundation for Lloyd’s big hits to come of similar character. -following Harold Lloyd’s popular THE FRESHMAN, this film takes on similar suit of this popular collegiate theme of the mid-20’s. 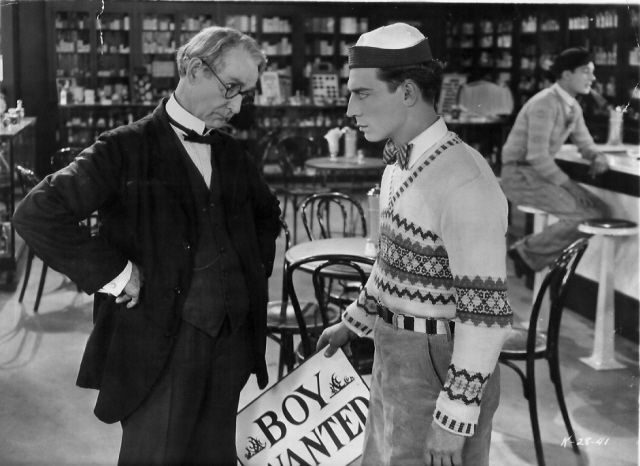 Stone face Keaton’s character is the nerdy brainiac that vows to learn how to be athletic (hard to fathom knowing the real-life Buster was the most athletic star of the silent screen) to win over his sweetheart (Ann Cornwell) from the brutish jock (Harold Goodwin) as they begin college. Even the plot sounds pretty familiar, eh? But as formula as this plot goes, the entertainment factor cannot be beat with Keaton’s hilarious physical comedy bits. It climaxes with an jaw-dropping race, including jumping over hedges and leaping into 2nd floor windows via a ladder with a single-bound, that it must be seen to be believed. From what I’ve seen of Keaton’s work, I doubt there was a single spot on his body that wasn’t Olympian-level athletic. -this boxing short shows just how things can go wrong when Hardy as Laurel’s fight manager tries to profit on an insurance claim, that he’s taken out on Laurel, and attempts to create accidents to ensure a profit. This film also features real pies for an enormous pie fight at the end. 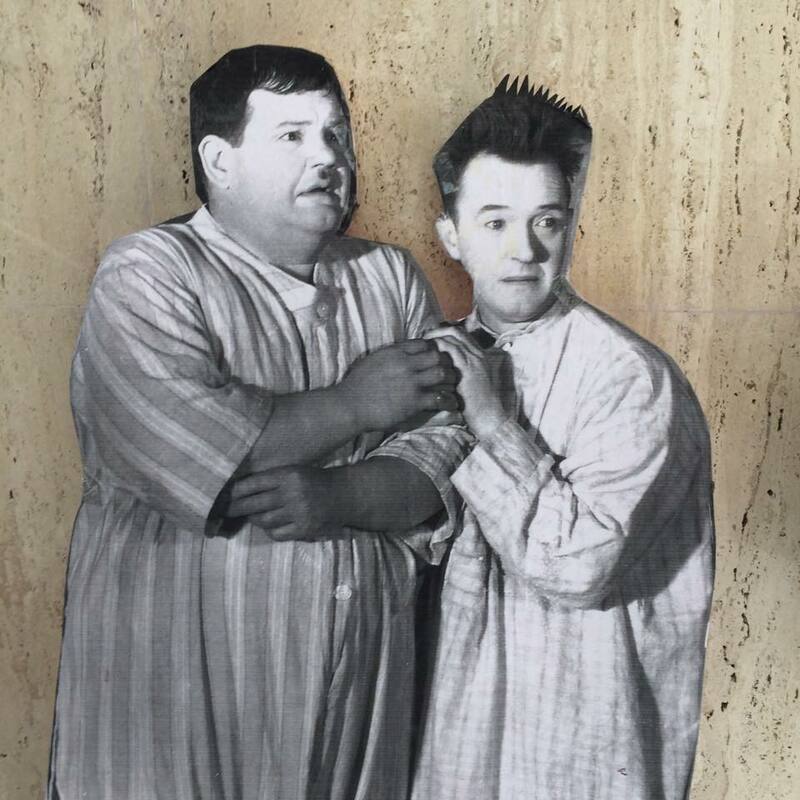 For all you trivia fans, can you name a later film that was an homage to Laurel & Hardy which also featured a mega pie fight? (I’ll give you a hint- it was centered around a ‘race’ and it was ‘great’!) Another interesting tidbit: according to KSFF, the first reel of this two-reeler was thought lost, then found in 1979; but still not fully complete. This version shown was the most complete currently available, with stills used in certain segments. -this silly flick in true Sennett style pokes fun at the Hollywood system and the movie star ego of the unlikely western hero of Swain. They say Mack Sennett introduced this now commonly known style of self-depricating humor. -this is a melodramatic mining town tale set in the Victorian era, depicting the class struggles between owners vs. laborers. Of special interest to me is star Claire Windsor. Very few of her films still exist and she’s a Kansas native! So, it seemed fitting to purchase this three-reeler as there were a small collection of silent films for sale. This is now my second silent film purchase (both standard 8s) at this festival. SO exciting! Not exactly a huge collection compared to true collectors but you have to start somewhere, right? -simple premise to this short tale is a slew of zany obstacles that Chase encounters on the way to a train station. Known for his “Jimmy Jump” character, Charley Chase is a natural at tickling the funny bone in all his films. A master at exagerrated expressions and ‘knees up’ physical comedy. 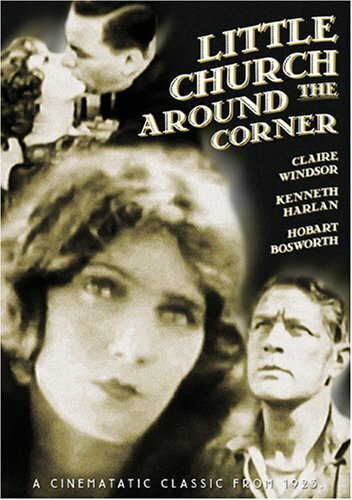 -as explained above, while this film was considered a technical mastery of its time, its content promotes racist propaganda including a lynching, racial stereotyping, and a depicting of the KKK as ‘heroes.’ Across the country when this film was released, many states banned it because of this. (Kansas held this ban for almost a decade.) 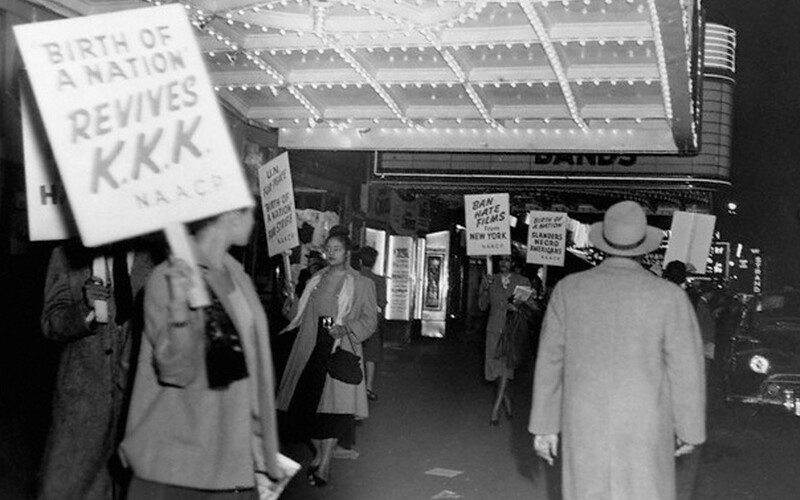 Sightings of the KKK and lynchings of African Americans surged across the South following the popularity of the film. I chose to skip this screening yet attend the three speaker panel which followed. I found this conversation between Denise Morrison, Jon Mirsalis, and Kevin Willmott very interesting. For the very reasons I did not wish to see THE BIRTH OF A NATION, is exactly why I found the Panel Discussion so fascinating. Some of the best takeaways included Willmott pointing out another classic film that dealt with the KKK and a sympathetic view of the Confederate South, GONE WITH THE WIND (1939), which he cleverly refered to it as ‘racist light,’ for its more glossier and subtle take, such as a scene that refers to a KKK meeting and raid as a “political meeting” and “cleaning up the shanty town.” To this point, it was argued whether almost every film made in the classic era is racist. When asked whether the director Griffith, son of a Confederate colonel, and this epic film deserved shunning or accolades due to his racist leanings, Willmott surmised that “Nation” should not be censored. Rather, he said it should be studied to remind us of our place in history and how far we have yet to improve; so that we may never regress again. On the issue of whether such a controversial figure should be honored in namesake (a reference to DGA’s Lifetime Achievement Award dropping Griffith’s name), he also added that someone being a master in their craft (of filmmaking) who utilizes their art to promote and glamorize racism does not discount the fact they shouldn’t be forgiven for their lack of humanity. -this was a delightful series of snippets of the top hat festooned and ever-debonair star Linder at the height of his international career. It was a treat to see such early cinema. -as someone who had only seen the 1940 Errol Flynn version, this was a real treat! I adore Flynn in all his swashbuckling charm, but I seriously think the compelling narrative in this high seas tale of love and betrayal gives that one a run for its money. A young Beery is the charmer here and the costumes and set design are fabulous. 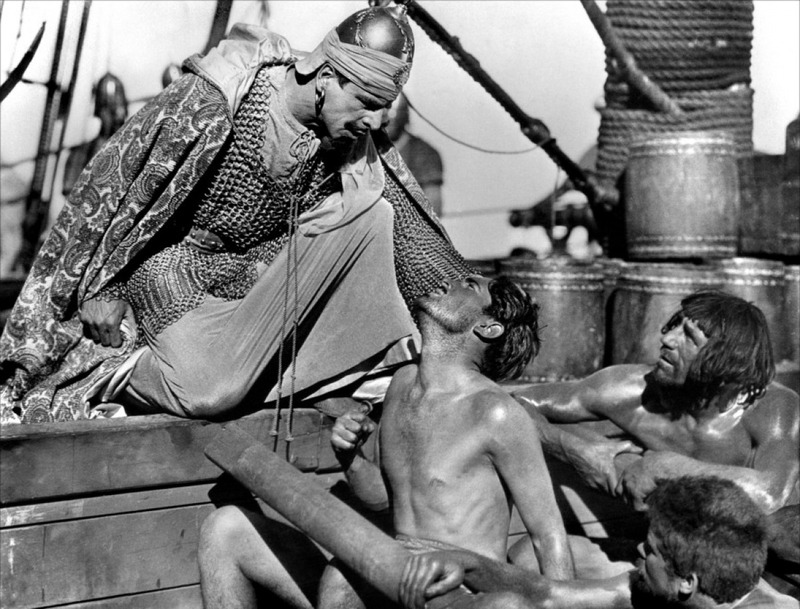 Film historian Morrison stated that for achieving authenticity, director Frank Lloyd spent $200,000 just on the real ships alone. That investment paid off because this film was the highlight sceening of the fest! For more information on this outstanding annual film festival, or how you can submit donations to keep this unique event going… www.kssilentfilmfest.org. Hope to see you there in 2016!